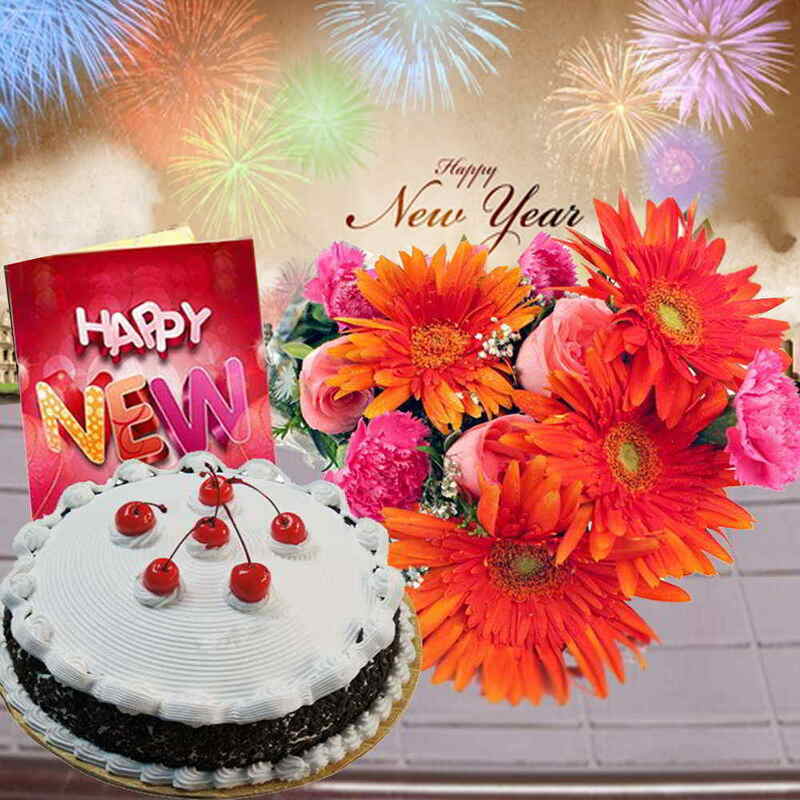 Product Consists : Bouquet of 12 Mix Flowers like Gerberas, Roses and Carnations with some fillers in a cellephone wrapping with a matching bow, 1/2 Kg Round Shape Black Forest Cake along with New Year Greeting Card. 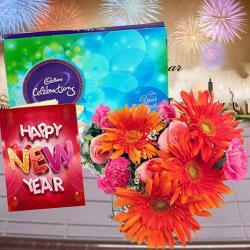 Treat your family and friends to sumptuous gifts on this New Year to make the celebration special for them. 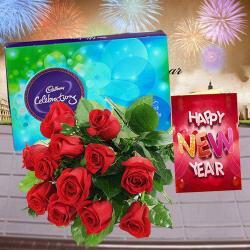 Here we have designed a striking hamper for you, which is perfect to elate your dear ones. This is a half Kg Cake in super delicious black forest flavor that has yummy vanilla frosting and garnishing of chocolate flakes and cherries. 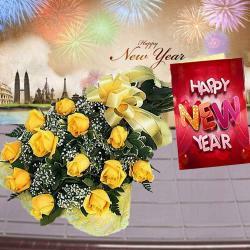 It is complemented with a bunch of 12 mixed flowers like Gerberas, carnations and roses and an elegant New Year greeting Card with heartfelt wishes in it. Book this order now and make it a memorable celebration for them to cherish forever. 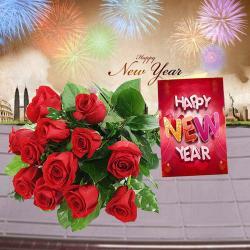 Product Consists : Bouquet of 12 Mix Flowers like Gerberas, Roses and Carnations with some fillers in a cellephone wrapping with a matching bow, 1/2 Kg Round Shape Black Forest Cake along with New Year Greeting Card.